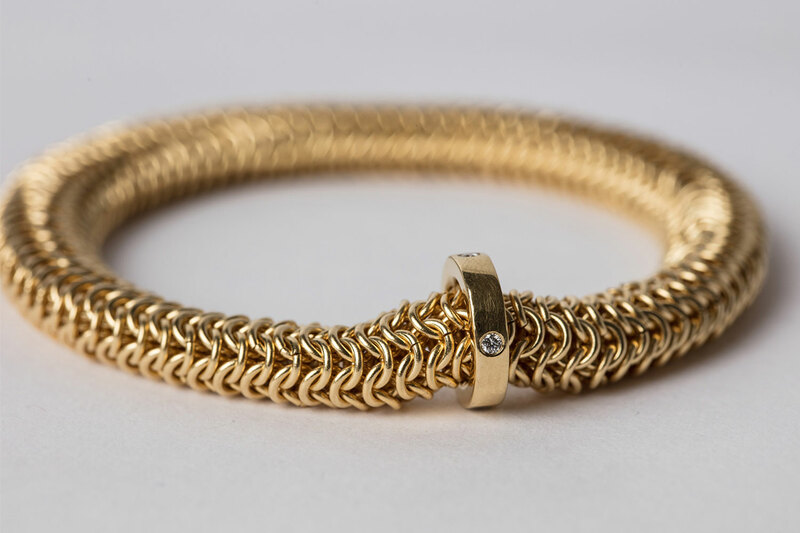 Alison Evans has an international reputation for her distinctive contemporary jewellery based on the ancient techniques of chainmail. Alison’s inspiration comes from the contrast between the natural environment and the manmade and industrial world. Alison’s work explores touch and movement – where the transformation of a hard material, metal, into a soft fabric creates jewellery, which is inherently tactile and strong, yet a pleasure to wear. 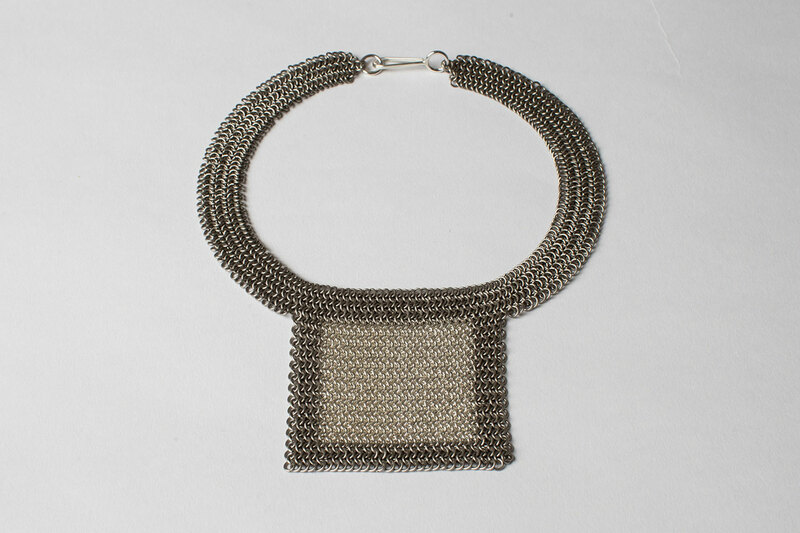 Working with a malleable, pliable material Alison uses chainmail techniques to produce jewellery with a textile-like quality, so allowing individual pieces to fall and lie naturally, accentuating the curves of the body. 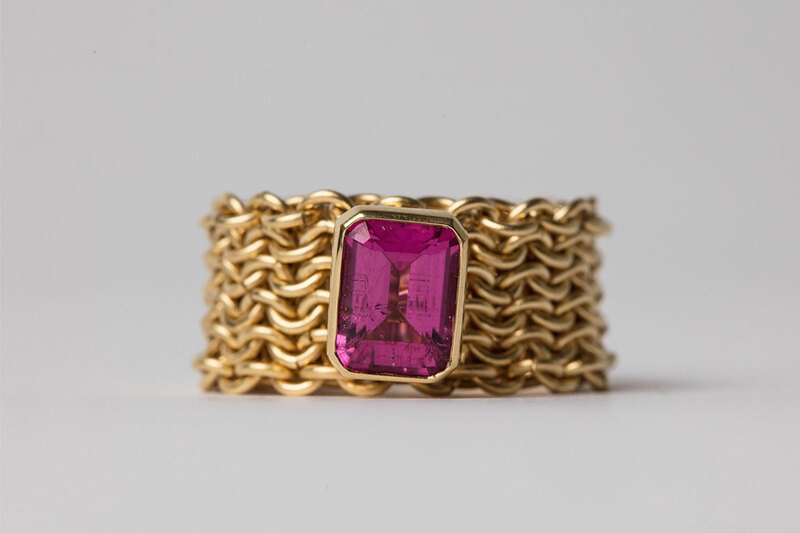 All the individual links are made by hand using 18 carat gold, silver and titanium, either combining two or more metals to produce patterns, or using precious or semi-precious stones to create layers of colour and texture. 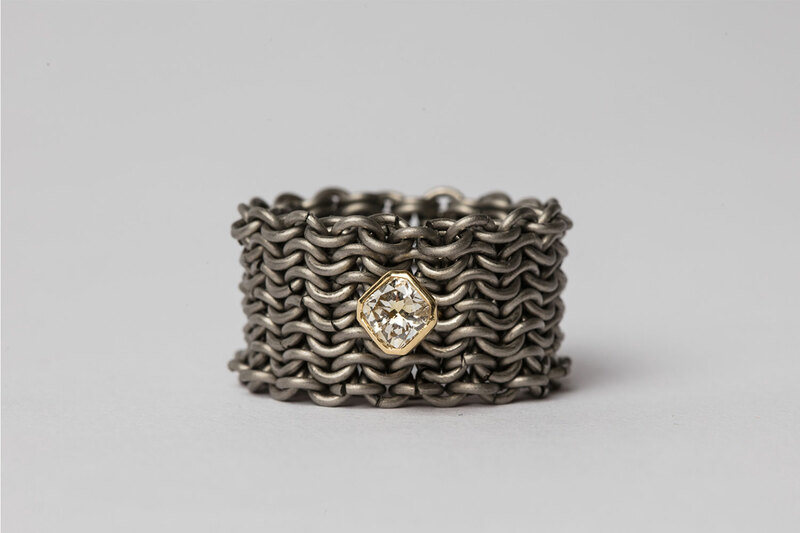 The unifying characteristic is that the links act as a canvas which is shaped into flowing, tactile forms using contrasting metals to create intricate designs across the surface of the chainmail. Finished pieces either form a complete circle, symbolising the circle of life, with no fastenings needed; or include a hand-made fitting, carefully chosen to complement each individual piece of jewellery. Alison’s converted barn studio in rural East Sussex is part of the family farm: a perfect place to observe order, repetition and growth in nature and the changing seasons. The different shapes and forms that Alison sees on a daily basis are subtly filtered and transformed, using her own personal visual language, into necklaces, bracelets, earrings and rings both sensual and comfortable to wear.